I have been loving all the sequin bandeau dresses around but I sometimes feel a bit exposed in a bandeau dress, plus there’s the awkwardness of a bra strap poking through or something poking out! I adore this dress as an alternative, I think it’s so sophisticated and unique. Yes, yes I know… despite what I just said I just can’t get this dress out of my head – I love the sweetheart neckline and ric rac waistband. It feels quite summer-y but I think with some heels, a clutch and a jacket it would still be worthy of a winter night out. Isn’t this dress just gorgeous? I love the length and the print is swans – who doesn’t need a swan print in their life? Definitely snapping this up. After a while of looking at dresses my mind inevitably wanders to comfort and this onesie is perfect for some lazy time. It has zebras on it! Enough said. Any Rosie wishlist would not be complete without some shoes. 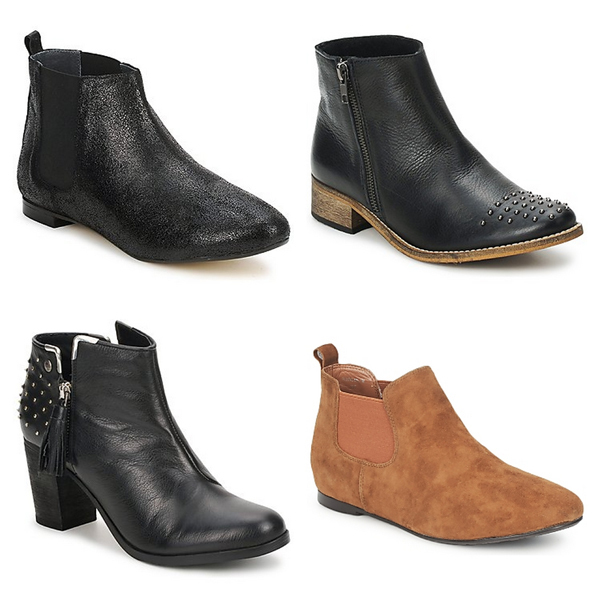 I’ve been eyeing up lots of ankle boots over the last week or so; I tend to wear dresses and tights or skinny trousers for work at the moment and I’m searching for a really nice pair of ankle boots to protect me from the elements – ballet flats aren’t really cutting it! These are all Spartoo; my favourite are the third (from Blink at Spartoo) which I believe the lovely Sarah (second mention in one post, you can tell I love her!) has?